The emoticon is a term that’s short for emotive icons. Emoticons have been around for centuries in various forms. What all emoticons have in common is they appeal to or express some form of emotion. And they are icons not words. But today, when we use the term emoticon, we’re usually talking about the Internet variety. And that is what brings us to our guest, Scott Fahlman. Scott tells the story of how he created the world’s first Internet emoticon which actually started before it was called the Internet. Back in September of 1982, it was called the ARPA Net, run by the military and only accessible to 12 universities. It was during this time that those working on it had already discovered the “social” aspect of the new technology and shared their own brand of humor, which was not always received as intended. Within a week, many on the CMU campus had started using it. In less than a month, it reached people at universities in California. Once the military turned the ARPAnet over to civilian control and more universities came on board, it started to spread to Japan, the United Kingdom and Europe. By the arrival of the consumer Internet in the 1990s, the emoticon had arrived, too. Scott never kept a copy of his original message, so, in 2001, a team led by Mike Jones of Microsoft decided to conduct an “archaeological” search for that original missive. Eventually they found the backup tape they suspected had the evidence they were seeking, but they didn’t have anything to read it. So, they had to find an old device that could read and decode those old tapes. Just a few days before the 20th anniversary of that original message, the team hit pay dirt. 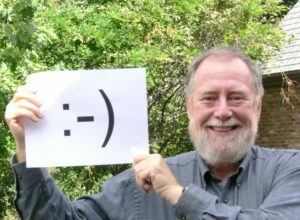 Scott admits he may not have invented the emoticon, which he believes can be traced back hundreds of years to the creation of the exclamation point, but as we commonly think of it today, the only popularized by the Internet, he is its confirmed creator. Why did it take off? Scott’s answer is as simple as the emoticon itself. Smiles are universal and tap an emotional nerve. The emoticon fills a small need, it’s free and doesn’t require permission to use. And it brings with it something he calls an “in-group effect.” In other words, early users saw the emoticon as a means of fitting in with those “in the know” on the latest in tech. 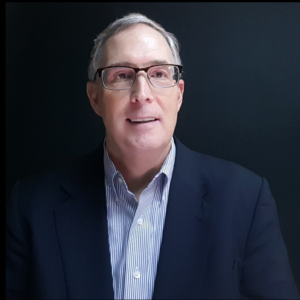 Scott E. Fahlman has been on the faculty of Carnegie Mellon University since 1978, doing research on Artificial Intelligence, especially in the area of knowledge representation and reasoning — that is, trying to get some general knowledge and common sense into the stupid machines. He also is working on the deep understanding of text and speech in English and other human languages, and on flexible, human-like planning. He is currently Professor Emeritus (formally retired but still doing research and advising students) in the Language Technologies Institute and the Computer Science Department of CMU. He received his PhD degree in Artificial Intelligence from MIT in 1977. In 1982, he proposed the use of : – ) and : – ( in posts and Email messages. These are generally regarded as the first internet emoticons, and the text-only ancestors of today’s graphical emojis.